Noah Wilson What's not to love about this album? 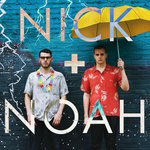 Nick + Noah are quickly becoming my favorite group. They are highly competent musicians, unafraid to experiment with arrangements, textures, and layers. The strings and choral arrangements on this album will wrap your heart in a warm blanket all winter long. The Painter, in particular, is gorgeous. Favorite track: The Painter (feat. Tom Kenny). This album is a portrait of winter. Of stillness. Of serenity. Of reflection. Of confinement. Of the magic in one night's silence. Of cold. Of coziness. Of celebration. Of snow. Of the simple enchantment of a crackling fire. Of belief. Of families coming together, whether in spirit or in location. Of perseverance. Of staying warm. And of the wonder that can be found in something as simple as the ringing of a bell. 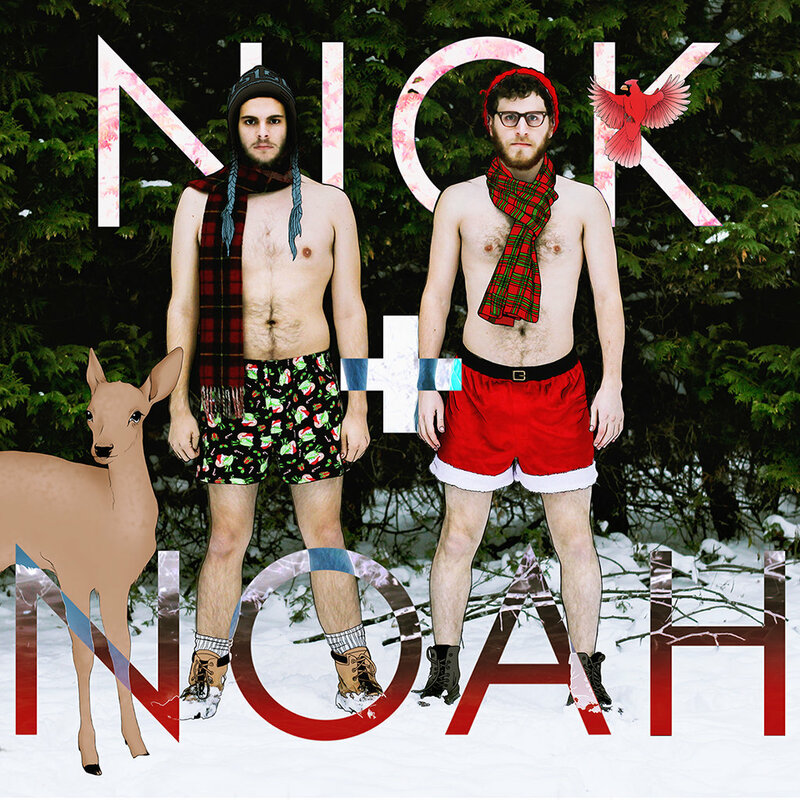 "Winter" is the second of four seasonal EPs by Nick + Noah, a pop duo consisting of longtime friends and collaborators Nick Frenay and Noah Kellman. Jimmy Navarra: drums, sleigh bells, tambourine, voice of train conductor in "The Painter"
Tom Kenny: voice of storyteller in "The Painter"
All songs written by Nick + Noah, with the exception of "Smoke Gets In Your Eyes," written by Jerome Kern and Otto Harbach. 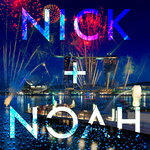 All songs performed, produced, mixed, and mastered by Nick + Noah. 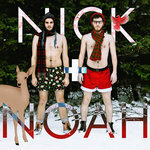 Album Artwork Photography by Samuel Kellman. Album Artwork Editing by Kaya Blaze Kelley. A blue half moon shined its light across a glittering sea, revealing crystals falling softly upon a white, silk landscape. Every so often a school of flakes was swept up by a gust of wind, sailing through the air in spirals. Belle sat on her knees, facing backwards on a red velvet chair. Her arms were crossed, and she rested her little chin on top of them, peering out the window at the shimmering backdrop. Mama helped her bundle up, and she marched outside in her woolen boots and her fluffy pink coat that looked four sizes too big. While exploring the serene landscape, Belle noticed a strange figure off in the distance. She decided that it was her duty to investigate, and so she walked toward it. As she grew closer, she could make out the figure of a man. He was gripping a paintbrush and seemed to be lost in his canvas. He did not notice Belle until she was very close to him, and he peered up at her as she approached. Belle looked timidly down at her feet, sneaking quick glances up at the mysterious man. Belle’s curiosity far outweighed any timidity. Belle walked closer to the man and he lifted her onto his knee. Belle looked around feeling frustrated, trying to peer around the canvas until finally, she gave up and cocked her head around to look at Mr. Vincent. “But there’s nothing there!” She yelled indignantly. The painter took his index finger and pointed at the painting. Belle looked where he pointed, yet she saw nothing but a starry sky on the horizon. Then, suddenly, she saw a strange shape emerging from behind the hills. At first it was only headlights and the silhouette of a steam engine, but sure enough, a train seemed to be approaching. She could see many more of the cars now as the train curved around the bend. Little lights shown through the windows and Belle could see people walking about inside. “But it’s only a picture!” She exclaimed with surprise. And then, in the not-so-far-off distance, she heard a “Choo, choo!” Belle shivered with excitement. In a second of disbelief, she reached out to touch the painting, but Mr. Vincent caught her hand and stopped her. “Now, my dear girl, we must never touch a painting. We must only look into it,” the painter said with a smile, and with that, he began packing up his easel and his brushes, and covered the painting with a tarp. He took the painting under his arm and with the tip of his hat and a wink, disappeared into the snowy night. However, just as Belle had turned to go home, there came a tremendous roar from beyond the woods. Sure enough, she spun around to find a majestic locomotive barreling toward her. It continued to advance until it was so close that Belle could see the conductor’s playful grin. She jumped up and down and waved with gusto, tugging her arm down to signal him. He returned her wave with a twist of his mustache, and the train answered with another “Choo, choo!” Belle felt the wind on her rosy cheeks as the train passed by, and she turned around and ran home to tell her mother all about it. “Mama, mama! Look at the train!” she yelled. But when her mother opened the door, the train was already far off in the distance, disappearing into a shadowy tunnel. When Belle went to sleep later that night, all she could think of was her encounter with the mysterious man and his magical painting. She wondered how such things were possible, and thought that someday, she too would paint stories that could come to life. As she drifted into her dreams, she was sure she heard the sound of a steam engine making its way across the moonlit horizon. is it meant for us?